Dr Peter Hansen was born in Gladstone, but has lived in Brisbane since age five. His tertiary education began with a Bachelor of Science at the University of Queensland. He subsequently went on to complete his Medical Degree also at UQ, before undertaking his internship at the Princess Alexandra Hospital. Dr Hansen’s Surgical Training was undertaken throughout Queensland in addition to the United Kingdom, working in both Worcester and Coventry. Dr Hansen’s Advanced Vascular Specialist Training was completed in four major centres – The Royal Brisbane Hospital, The Edinburgh Royal Infirmary, The Western Hospital, Melbourne, and The Princess Alexandra Hospital, Brisbane. This comprehensive training and experience encompassed all facets of modern Vascular practice from minimally-invasive (“key-hole”) endovascular techniques for the management of arterial, venous and aneurysmal disease, through to major open surgery for all vascular conditions. 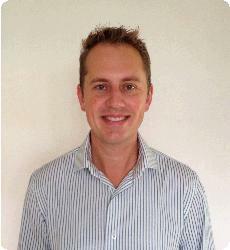 Dr Hansen is a Visiting Specialist at The Princess Alexandra Hospital (Public Hospital). His Private Practice is based at The Wesley Hospital, Brisbane and he visits Hervey Bay on a regular basis for both consultation and also performs surgery at St. Stephen’s Private Hospital. For more information about Dr Hansen, call today!